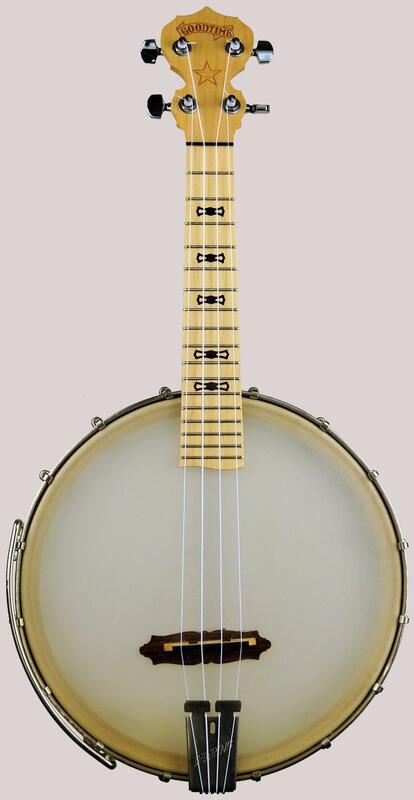 What I have invited this time is a Concert scale Deering Goodtime open backed Banjo Ukulele. These are generally fairly expensive so when they came out a couple of years ago, whilst I knew I would get one one day, I knew I would have to wait for a bit for the price to go down. They do come up on ebay occasionally but while the start price is just about reasonable, they soon shoot up to a nearly new price that is above the size of my invitation. Well this time once again the start price was just about reasonable, again, so I had a punt, again. I wasn't going to go much higher than the start price though, but maybe because of the time of year I didn't have to; no one else bid! So although I'm not getting the Deering gig bag with it, I am inviting it at a fairly bargain, (for what they usually sell for), price. There was quite a bit of faffing getting it delivered during the holiday period, but it's here now and it is quite lovely. 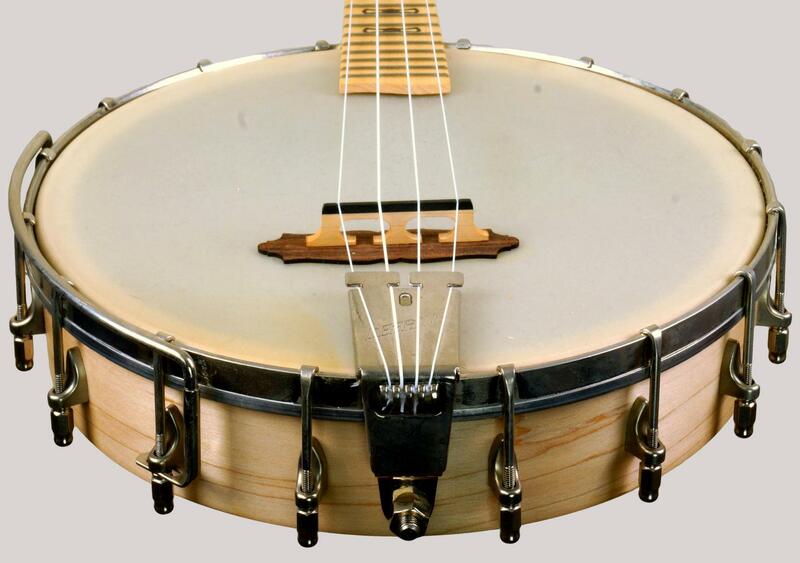 Its very big with its 11 inch drum, bigger even than some of the fat Banjo Mandolins, but still lovely and its a bit lighter than I was expecting too. On inspection, every bit is quality and I like the way the Deering logo is stamped on the back of the fretboard overhang. 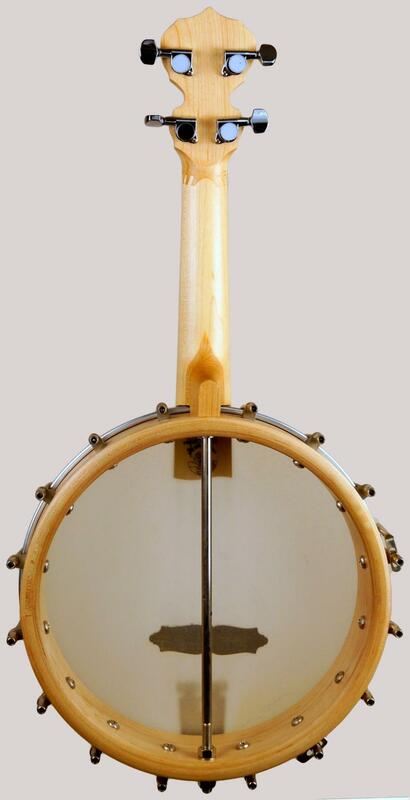 When seeing them in pictures before I always wondered what the piece of wood between the bridge and the head was, and if it might be detrimental to the sound? It isn't though I have tried it now both on and off, and whilst it sounds pretty good with it off it actually sounds a lot better with it on.